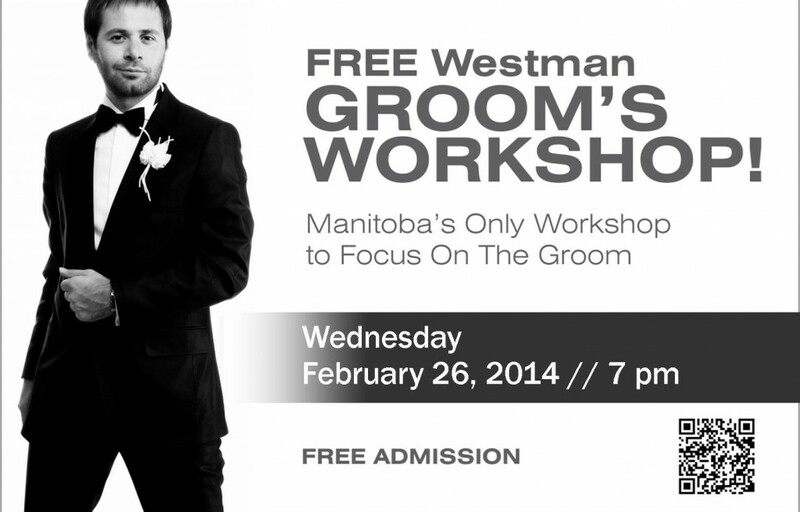 Westman Groom’s Workshop, February 2014! Hey, hey, hey folks! Coming to you LIVE from sunny (although not overly warm) Las Vegas, Nevada! Calling all GROOMS! It is that time of year once again. Time for the Westman Groom’s Workshop! A casual evening for guys only. NO ladies allowed. It’s Bryan Podworny of Expressions Entertainment, myself and a bunch of guys sitting around a room, munching on appetizers (provided by the workshop) and yaking WEDDING from the guys point of view. Really casual, lots of tips given to make his lady feel even more special throughout the wedding process and ALWAYS lots of fun and laughter! Ladies… I can’t promise you he’ll come out looking like Superman, but he’s going to be a really, really close second! Send him our way by having him RSVP as soon as possible. Having him come out with one of his Groomsmen or some other manly support figure is highly encouraged. 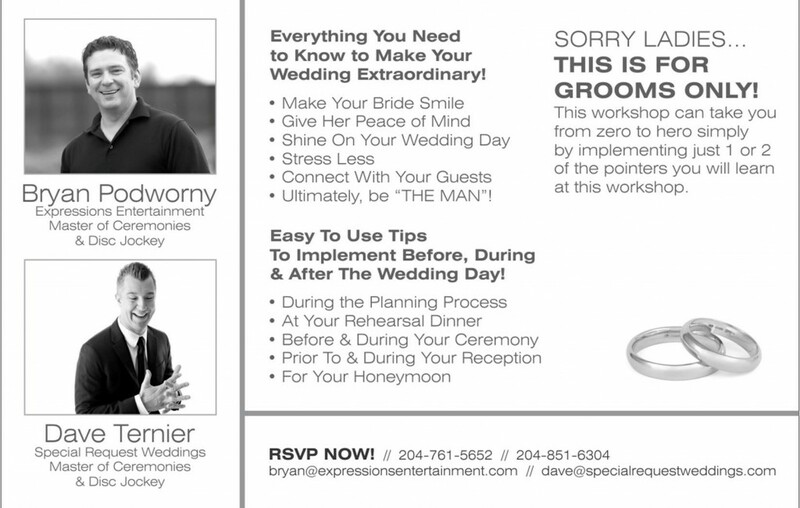 RSVP now by emailing or calling Bryan or myself.